Nostalgia for the old days is something that can’t be helped at times. With technology constantly reinventing itself in warp speed, it can be tiring (and no doubt expensive) to keep up with the latest releases. There are moments when simpler times or a semblance of them are wished for. While it’s impossible to completely revert back to the start, there are ways to relive them. 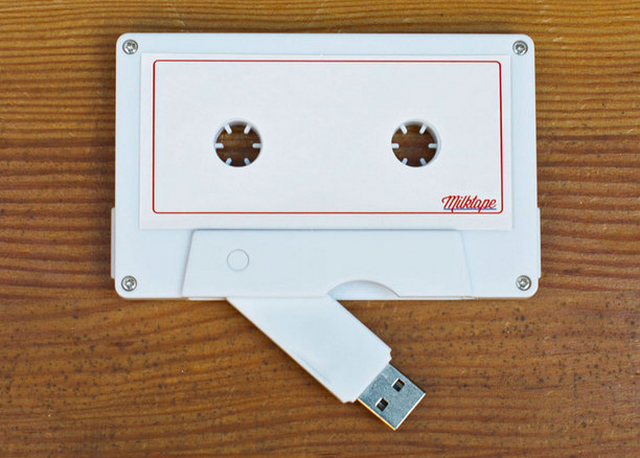 Welcome the Milktape, a USB stick housed in a cassette meant to bring you back to the 90s, a time of mixtapes and Walkmans. Mixtapes have always been a personal thing. You took the time to make for a special someone. The Milktape does the same, just a more updated and efficient version of it. The USB cassette holds about the same amount of music a cassette used to before. That is 128 MB, or about 15 songs. If you’re thinking that’s a bit too small a space, don’t forget that such a low capacity keeps things personal. Each song selection means something more than just dumping whole albums into a large flash drive. 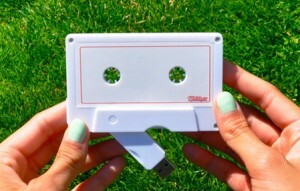 Using the Milktape is as simple as using a normal USB flash drive. Plug it into your computer’s USB port, pick out the songs you like, drag, and then drop. You now have your own digital mixtape. You can design each Milktape especially for the person receiving it. The device comes with a blank case cover (similar to the ones that came with the original cassettes) and two blank stickers. Write out the tracklist and maybe even a special message. 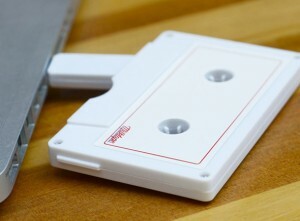 Once you’re satisfied, tuck the USB drive into its white cassette decoy and put it in its plastic case. Now, go find that special someone and hand it over with pride and a bit of emotion. The Milktape is compatible with both Macs and PCs, so you don’t have to be picky about which of your friends to make a mixtape for. Each unit costs around $15, the same price as a regular CD album, so it won’t really break your bank to make one. Now, who said the 90s was only about terrible fashion choices?